Quiltography: a No. 1 Lifestyle App designed exclusively for the Apple iPad and is the highest rated and best selling quilting app available. Averaging over 4.5 stars across all international App Stores, Quiltography is amongst the highest rated apps on the Apple App Store. Reaching number 1 in the lifestyle charts for in the US, UK, Canadian and Australian App stores. You can't get better than that. Reaching 77th in the US App Store, Quiltography is undeniably a popular app. Don't delay, download it today! This tutorial video for Quiltography for iPad explains how to; - Add images as fabric. - Tag fabric. - Share fabric images. - Save images from the internet. - Search fabric. - Sort fabric. - Edit fabric. - Delete fabric. - Create fabric solids. 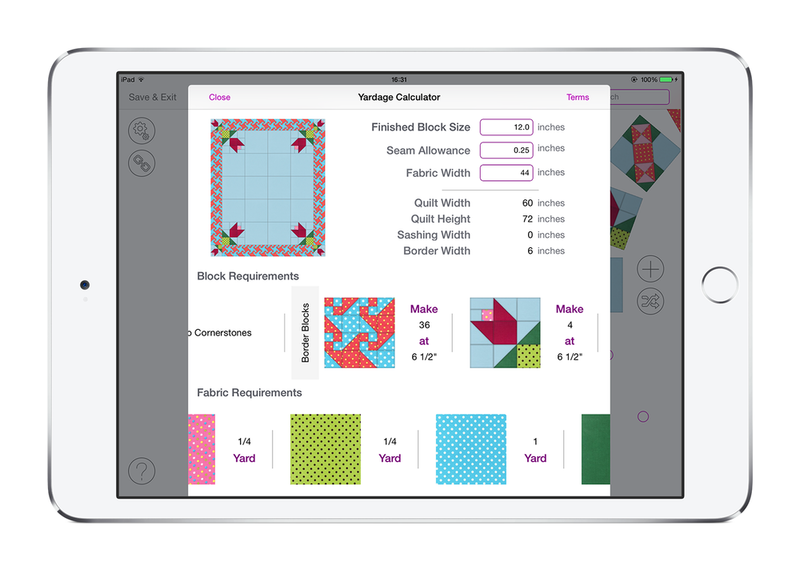 This tutorial video for Quiltography for iPad explains how to; - Customise a block. - Add fabric. - Use the "link" option. - Reset a block design. - Search and filter fabric. - Access saved fabric. - Edit a block design. - Delete a block design. This tutorial video for Quiltography for iPad explains how to; - Create a custom template block. - Add and resize shapes. - Colour shapes. - Save templates. - View and use templates to create blocks in quilts. Download Quiltography: https://itunes.apple.com/us/app/quiltography-quilt-design/id585991997?mt=8 Quiltography is a quilting app created to help users design quilts in a quick and easy manner.